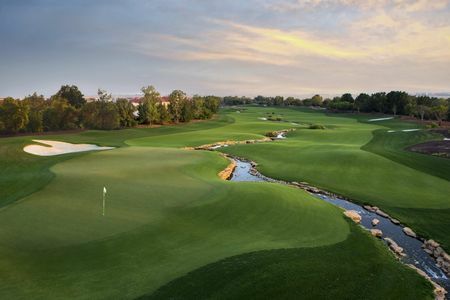 The Championship-style, 18-hole golf course designed by world-renowned architect Gil Hanse, provides a one-of-a-kind experience for golfers of all skill levels. Further enhancing this exquisite course is the 9-hole, par 3 Academy Course, allowing golfers access to their perfect game. Additionally, our world-class putting, chipping and practice facility, as well as our driving range with LED lighting, allows for optimal play well into the night. 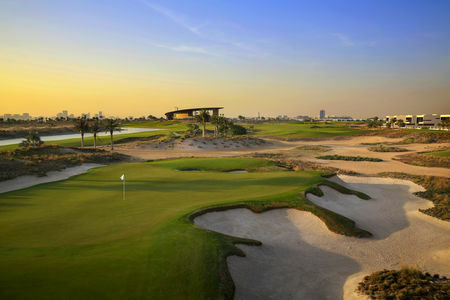 Routed on over 500 acres and forged from what was previously flat and barren desert, Trump International Golf Club, Dubai has become a pre-eminent destination in the golf world. Aspects of the design blended with the desert climate work in cohesion to provide a special golf experience and a true test of the game. The many layers of the course are key to developing play strategy and increasingly unveil themselves as golfer’s progress through all 18 holes. Hanse Golf Course Design, led by golf architect Gil Hanse and his partner Jim Wagner, utilized a massive and cavernous barranca as the backbone of the routing. As players proceed through the course, the barranca strategically interacts with the holes providing elevation change, profound views and many exciting golf shots. The rumpled fairways, inspired by the beautiful and natural desert contours, took shape on top of the pure, endemic red sand. The juxtaposition of rustic barranca and formal revetted bunkering provides an impressive look and a unique combination of hazards. 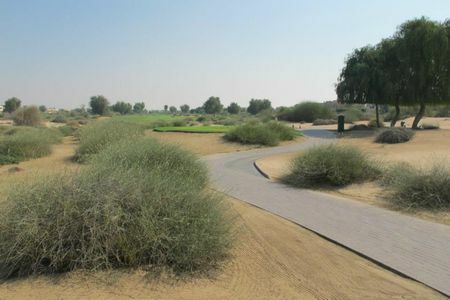 Gusty wind, a wide variety of vegetation and an abundance of exposed sand all require deliberate shot making decisions in order to score. Rare to desert golf is the handful of holes which incorporate formidable water hazards encouraging strategic play off the tee and on approach shots. 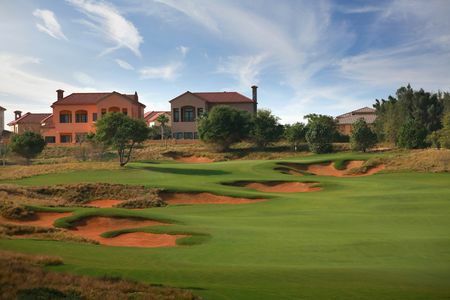 While the course is easily a superb test for the advanced player, it is also navigable for golfers of all skill levels with an expansive multi-tee system. 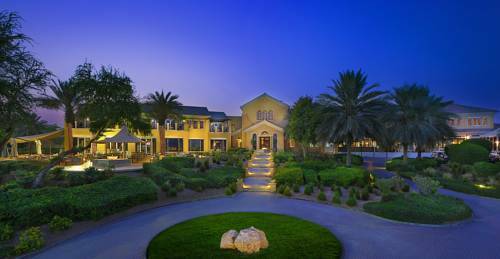 Trump International Golf Club, Dubai offers an unparalleled golf experience never seen before in the Middle East. I played this course many many times and it was always different – thanks to Gil Hanse and his greens. I think it is a fair course which can be very challenging if you hit it to the wrong spot. Condition is pure through the year as well. Clubhouse has everything that you would need, with a good selection of the places to eat – Trump has three restaurants which can offer something even to a very picky guest. The course is in great shape with fast and firm greens! Really fun to play and very fair!